I hypothesize that this feature will work more accurately, if it allows a user to specify more than one input (this of course means that all the inputs specified by the user already individually fit those characteristic(s), on the basis of which the user wants to find more websites). This is because the definition of similar can sometimes be unclear. Many times it's possible to find multiple characteristics which are similar between two things (an apple and an orange are both fruits, are both round, are both about the size of a tennis ball. Which particular characteristic does a user have in mind?). If I specify orange as my sample item, should Google Search return an apple as a similar item, or a lemon? This is unclear if the only input item specified is an orange. However, the moment I specify orange, grapefruit, and tangerine as the sample inputs, it becomes more clear (more so to a human) that the particular characteristic on the basis of which I'm looking for similar stuff is the thing being citrus. Hence, lemon is a more appropriate item that should be returned, compared to apple. It should be noted that the same logic is applicable when one tries to grow a set on Google Sets. Back to Google Search. 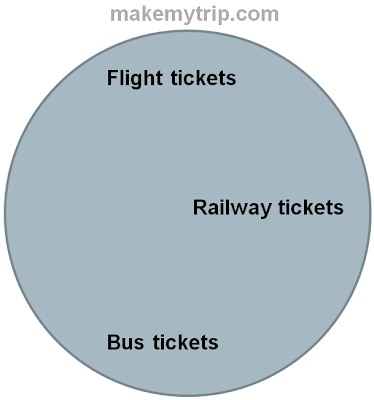 What should Google return, if I specify makemytrip.com as the input (at the back of my mind, I'm trying to find out websites which allow me to book railway tickets). From my input, it isn't immediately evident that I'm looking for those websites that allow me to book railway tickets. 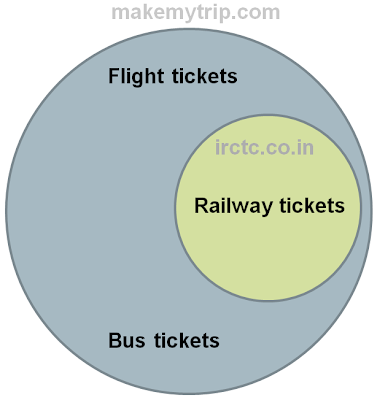 Since makemytrip.com allows users to book tickets for flights, buses, railway, et al., it's likely that the websites returned will allow some/all of these types of tickets to be booked (some of the results may not allow booking railway tickets). 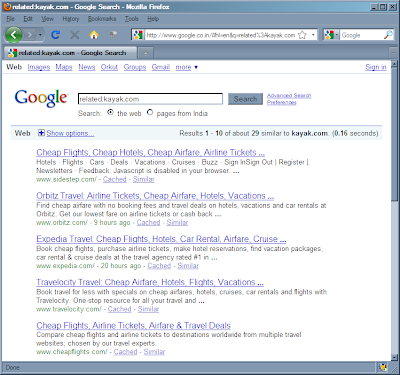 Hence, I believe that Google should allow users to specify more than one website as input, to return similar websites.